I not only adore the curve of this die on the card edge, but the stitching. I can't seem to get enough of that stitched look. 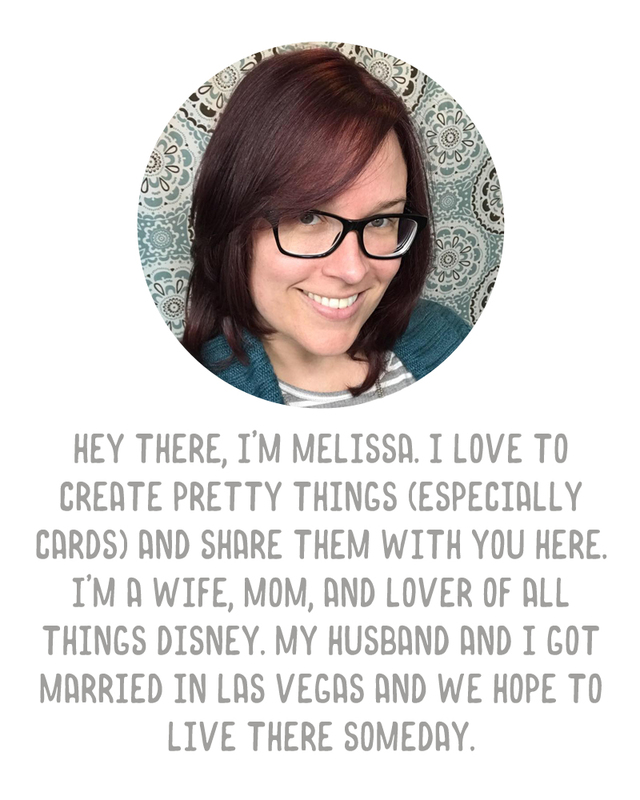 I added a strip of the butterfly paper from the paper pad underneath, making sure it lined up perfectly with the back of the card. 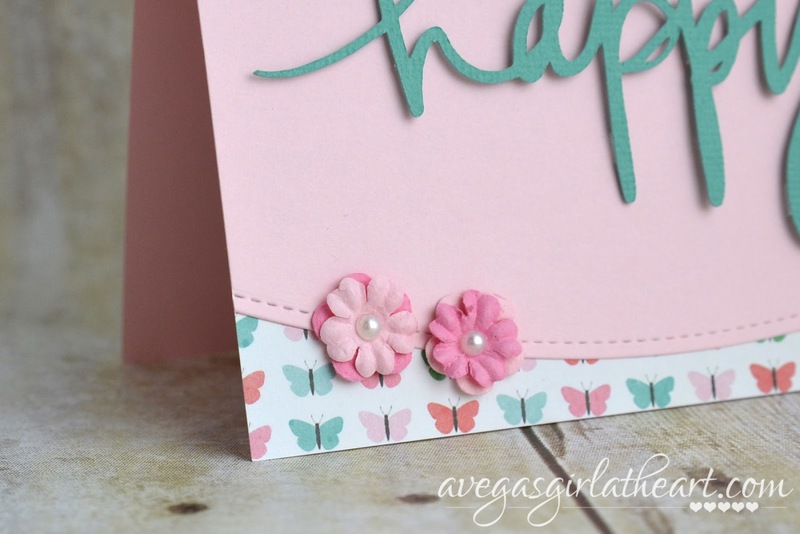 Then I added some paper flowers from Prima (I found a bottle unopened at the flea market a couple of years ago and I still have a ton of them) and some pearls from Simon Says Stamp. 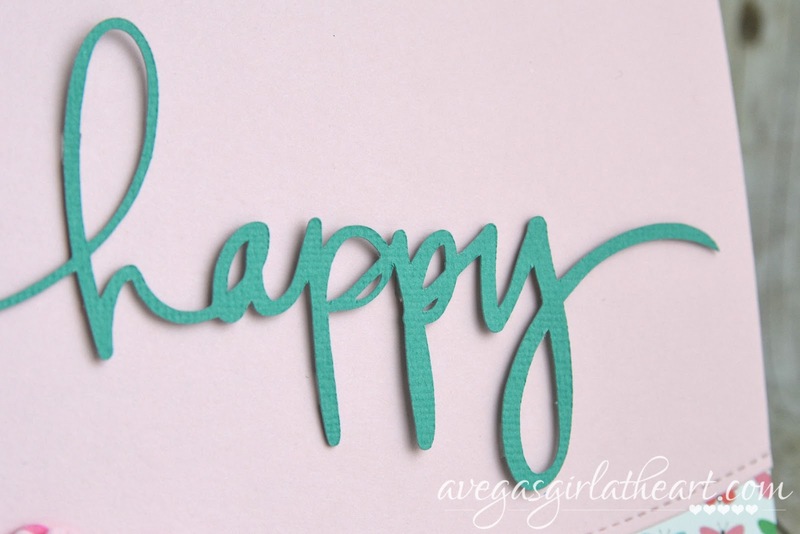 The happy die cut was made with my Silhouette and a set of cut files from Karla Dudley (I'm not sure if they're still sold - these were from Pixels & Company originally). They cut beautifully with the Silhouette. I popped the die cut up from the card using Kool Tak clear foam tape (which is a genius product). 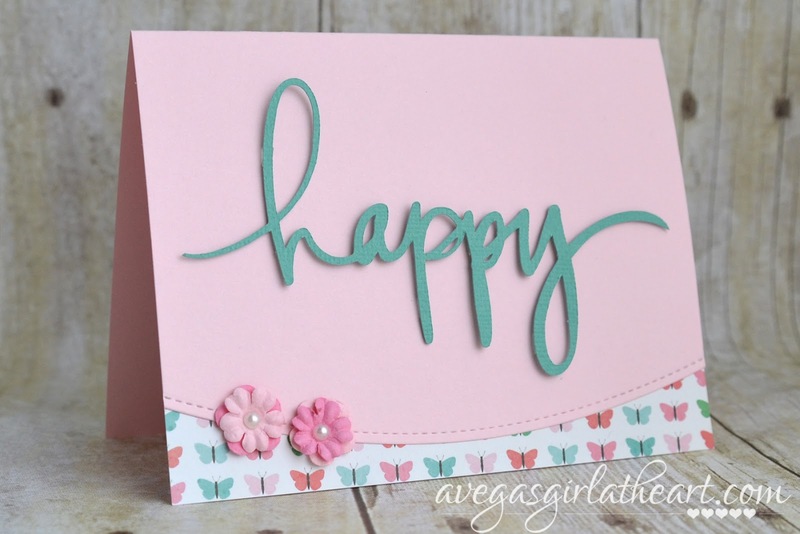 Just a fun happy card, and I like that the design can be replicated for other occasions or papers. Clear foam tape?? I need it! Beautiful card!